Traditional Braces vs. Invisalign: Which One Is Right for Me? If you are considering orthodontic treatment to achieve beautiful, straight teeth, you may be asking yourself if you should opt for traditional braces or Invisalign. Being informed will allow you to make the decision that’s right for you. Both traditional metal braces and Invisalign work to straighten your teeth and improve your oral health. Deciding which is better for you depends on your needs and your preferences. Traditional braces: These braces have metal brackets that hold adjustment wires in place. The wires are adjusted regularly during treatment to shift your teeth over time. Today’s brackets are smaller and less noticeable than those of the past. Traditional braces are the least expensive types of orthodontic treatment. Some people choose metal braces because they are irremovable, meaning you won’t have to worry about losing aligners or changing them out frequently. There is no temptation to take them out, which ensures compliance. Patients with complex dental issues may want to consider traditional braces for their orthodontic treatment needs. Invisalign aligners can be removed, allowing you to clean your teeth with ease and to eat your favorite foods without restriction. The custom aligners are comfortable with no uncomfortable metal brackets that can create sores in the mouth. 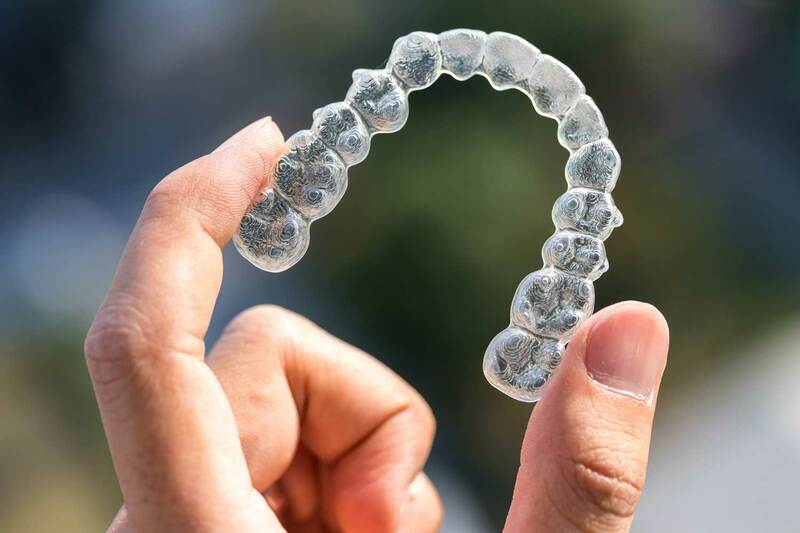 Many patients prefer Invisalign’s clear aligners because they do not interfere with one’s appearance. With Invisalign, you can have your teeth straightened without anyone ever knowing. Each of these treatment options has its benefits. The decision will depend on your individual needs. Contact your trusted team at Avalon Dental Care to learn more about braces and Invisalign. We will work with you to help you decide on the best treatment option for you. Your beautiful, straight smile is a phone call away!